Every now and then, we come across a book title that really stops us in our tracks. If you are a life long reader, there is an excellent chance that a title has lept out and grabbed you. Book titles can convey feelings to readers that resonate with real situations in their lives. Is it fair to select a novel based solely on its title? Let’s have a look at a few of those titles that caught our attention. Some of our selected titles are coupled with cover art that perfectly marries two concepts and some are so lyrical that they stand alone. The Glass Books of the Dream Eaters by Gordon Dahlquist. An admission must be made here, this is another title that has lived – unread- on my shelves for many moons. While perusing Bookmans’ shelves, I grabbed this work just because of its ironic title. This Pulitzer Prize winner opens with the brilliant Jonathan Swift quote “When a true genius appears in the world, you may know him by this sign, that the dunces are all in confederacy against him.” If the title isn’t enough to get you reading, that quote certainly would be. 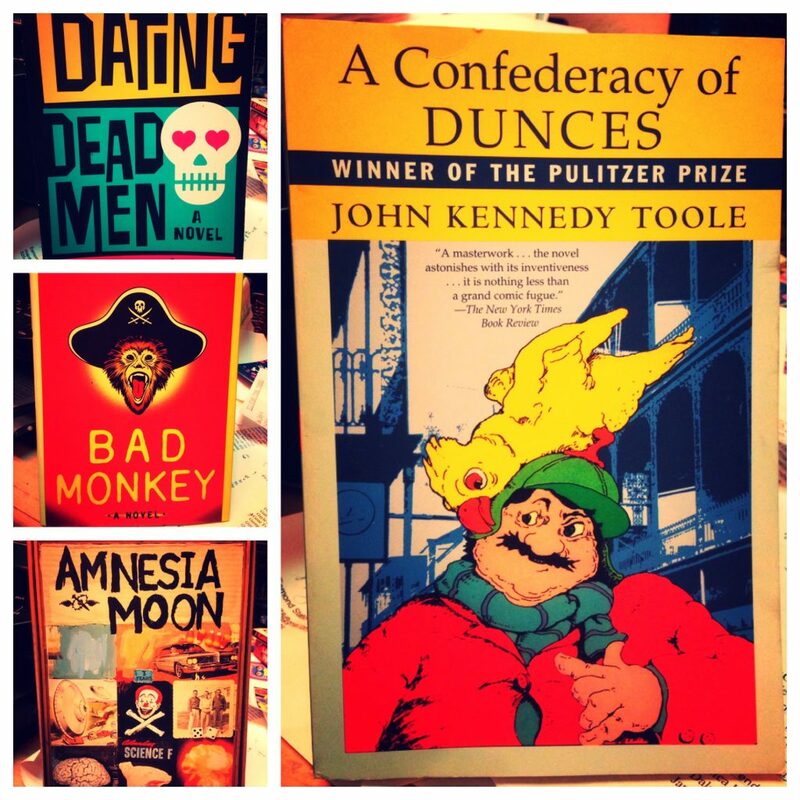 So let’s read about Toole’s main character Ignatius J. Reilly together and see what we think. Deal? Deal. Here we follow the swarthy Bruce Gordon “ex-fighter, ex-gambler, ex-cop, ex-reporter, and ex-patriot” of Earth as he navigates the hedonistic criminality of Mars. This is like a gunslinger western in space and, needless to say, it’s fantastic. Oddly enough my spell check didn’t flag Quincunx! But the question remains: What is a Quincunx? We hope it has something to do with Dirac transmitters, man’s expansion into the galaxy and global security. If you can provide an answer, please leave it in the comment section. But don’t cheat by Googling it, you must read the book. Let us know what titles prompted you to give a book a try! Don’t be shy, we have already admitted that we do judge books by their titles and we’re glad that we did. Books are wonderful mysteries just waiting to be uncovered and there is no shame if their titles look really impressive on your living room shelves.